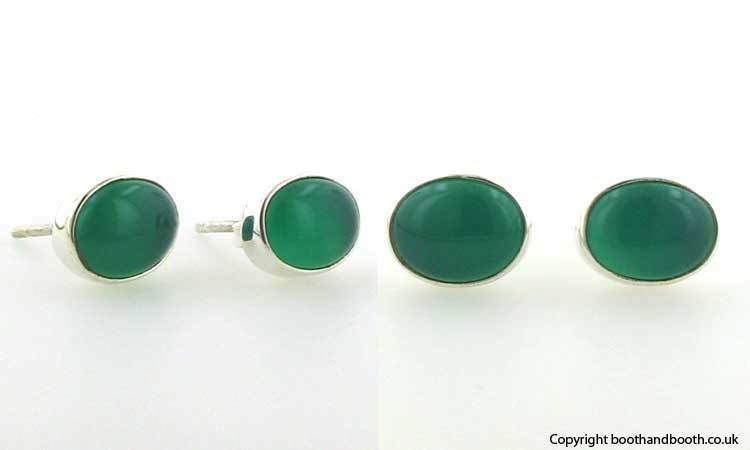 Oval green onyx stud earrings in sterling silver. 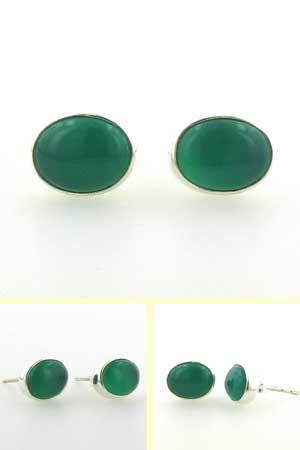 If you love the colour green, you'll love these earrings! 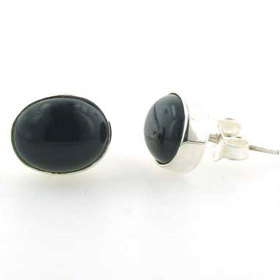 These neat stud earrings are timeless classics and will take you anywhere. 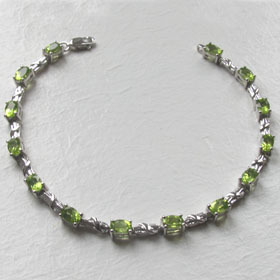 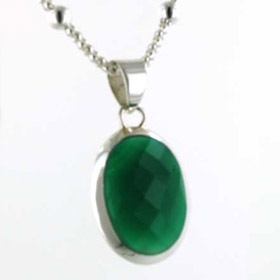 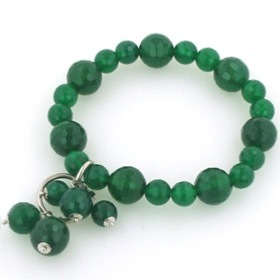 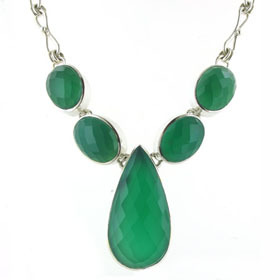 The green onyx gemstones are a fabulous emerald green shade and plain set into a solid sterling silver cup. 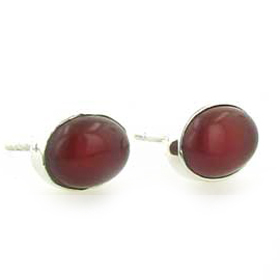 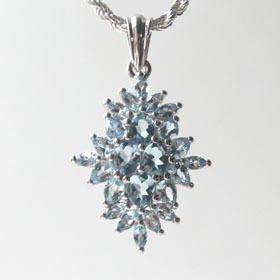 Eminently comfortable and wearable, these earrings are an ideal gift. 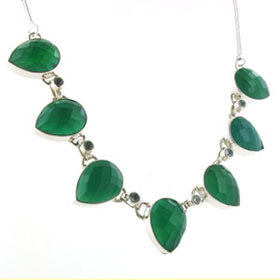 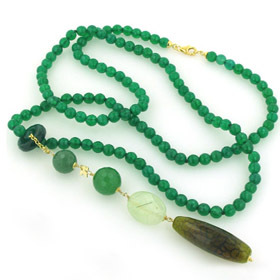 Team these green onyx earrings up with a green onyx pendant or a green onyx necklace.